Once in captivity, however, animals are no longer self-sufficient. They are, for the rest of the lives, 100% dependent on the zoo staff for food, care, and stimulation. So when a zoo closes, it can't simply, pull down the blinds, padlock the doors and walk away. No, before slapping on the "Closed" sign they first must figure out how they will care for the animals in their care. Of course, that is the "ideal" situation. Some zoos, simply choose to abandon their animals, locking the door behind them as their menagerie stares back at them from behind the metal bars. This is exactly what happened to the zoo animals at Parque Zoologico Prudencio Navarro on Spain's Costa de la Luz. The clock is ticking for these animals. They need to be rehomed to accredited sanctuaries at once so they can get the care they need and finally have a life free from zoo captivity. 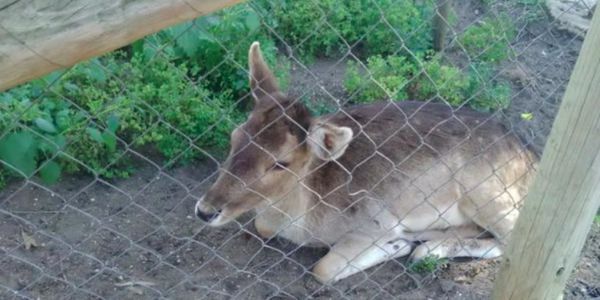 Please help Care2 call on Spain's Nature Protection Service (SEPRONA) to rescue the animals and find them sanctuaries today. Sign the petition.